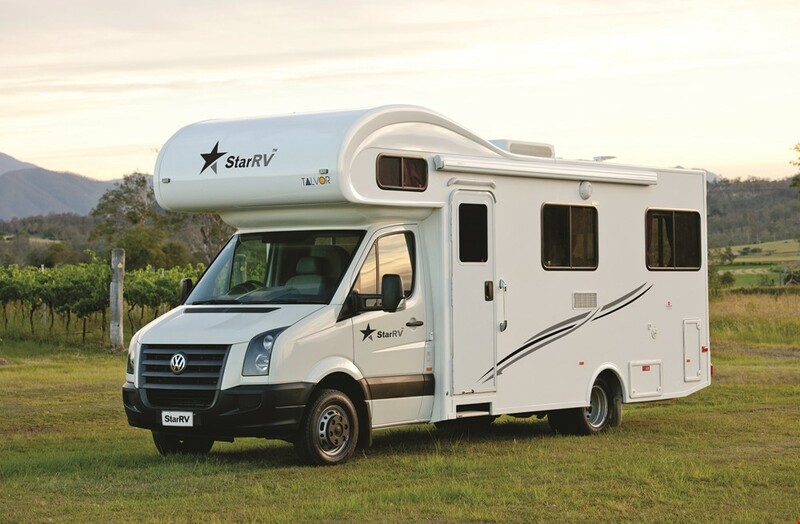 "Review of my star-rv hire"
Star RV Australia is aimed at the absolute luxury, premiere, first-class market of RV and Motorhome rental enthusiasts. 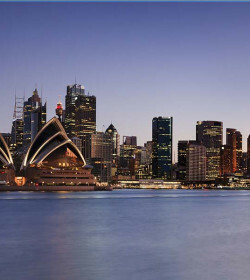 They have a presence in the Australian, New Zealand and American markets. 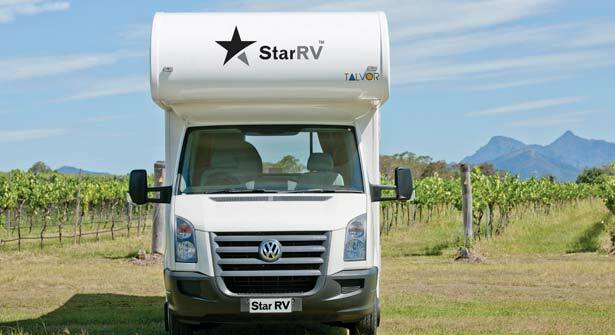 Star RV is a division of Apollo Tourism & Leisure Ltd, which was founded in Australia as a family business by Gus and Carolyn Trouchet in 1985. 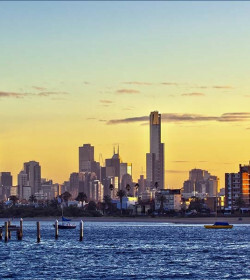 Over the years, it has expanded to operate in the USA, Canada, and New Zealand, and since listing on the Australian Stock Exchange in 2016, the management is still on a good reputation. Star RV also emphasize their commitment to customer service with a ‘five-pointed’ approach: complimentary valet service; complimentary linen exchange; complimentary transfer from airport to branch (to the value of $25); expedited vehicle pickup with online preregistration, and expedited vehicle return with a key-drop facility. 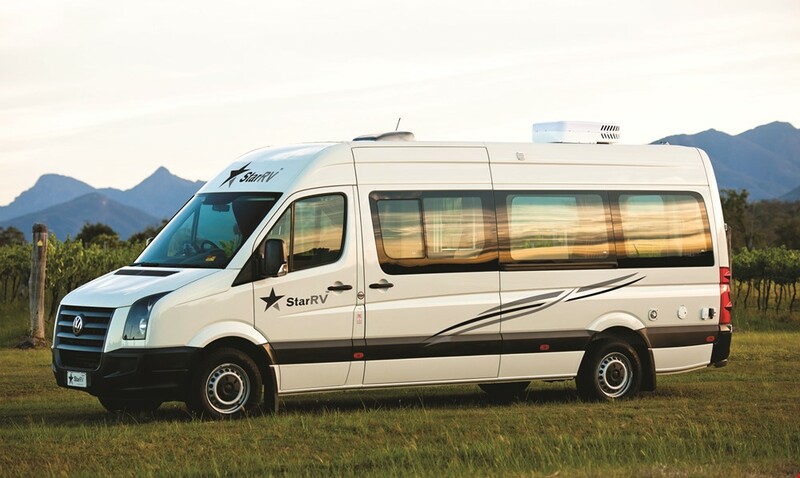 One striking aspect of the Star RV ‘brand’ is that they advertise a ‘one-year guarantee’ on all their vehicles — that is, they guarantee that all their fleet vehicles are under one year of age, and are the only RV rental vehicle company to explicitly offer this. The youth of this fleet means that you’re likely to encounter far fewer mechanical faults, that they’ll be up to date with safety regulations and that the standard of the interiors will be superior — but you get what you pay for, and a vehicle that’s six months old will be a good deal more expensive to hire than one of six years. 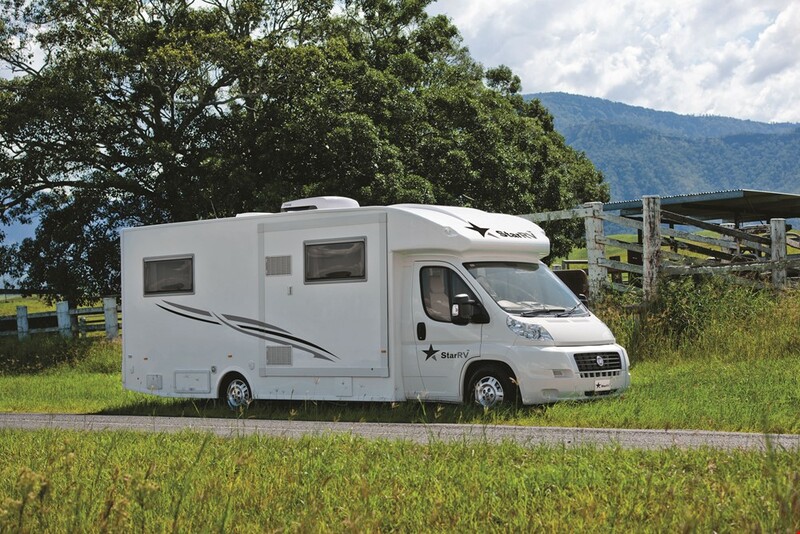 As a member of Apollo Motorhome Holidays, all Star RV vehicles are manufactured in Brisbane by Apollo’s production company, TALVOR, and generally built on VW or Mercedes bases. 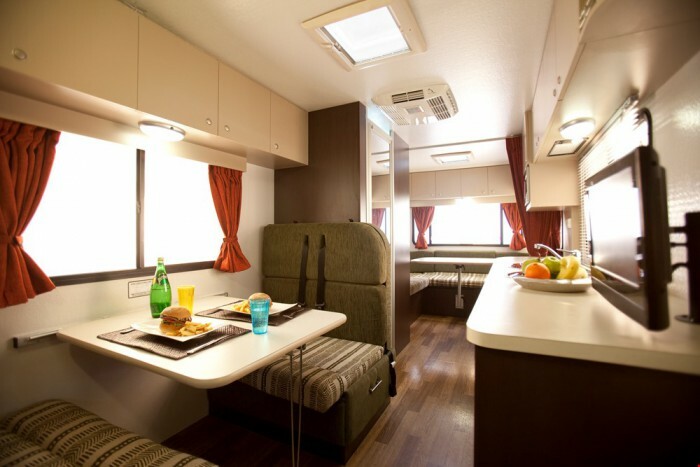 All come with flatscreen TVs, DVD players, and iPod docking stations, and feature interesting and fairly unique design elements (more on specific vehicles later), such as electronic drop-down beds or slide-out sections. Linen is also supplied with every hire, and all vehicles have air conditioning and heating in both the driver’s cab and main cabin. 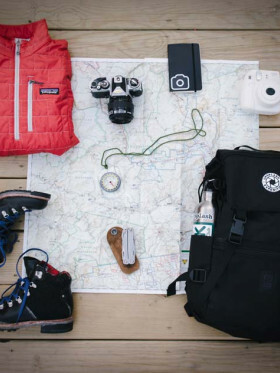 Camping chairs and tables, satellite phones and portable GPS units can be hired at an extra one-off cost — which makes a change from some companies, who charge for these at a day rate. Uniquely, the Australian and New Zealand vehicles are all named after southern hemisphere constellations, which is a nice touch. The Aquila RV is a 2-berth motorhome — that is to say, it has internal walk-through access to the driver’s cab. The cab has two seatbelts, although none in the rear and no space to fit a child seat, so this isn’t a suitable model for families. There’s one convertible double bed at the rear, which at 2.0 x 1.7 meters (78 x 67 inches) is rather spacious for a 2-berth model. The kitchen features a 3-burner gas stove with sink (hot and cold water) and microwave, plus a 62-liter fridge-freezer. 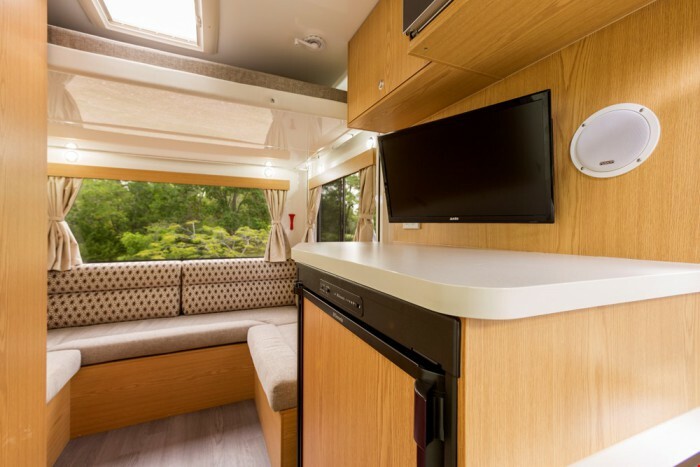 With an onboard shower and toilet, it is certified self-sufficient, which makes for a pleasant change from the majority of 2-berth RVs on the market. Be warned, though, that in terms of size, this is much bigger than your average 2-berth! The Pandora RV is a 4-berth, sleeping four, with space for up to two baby or booster seats to be installed in either the front or back. 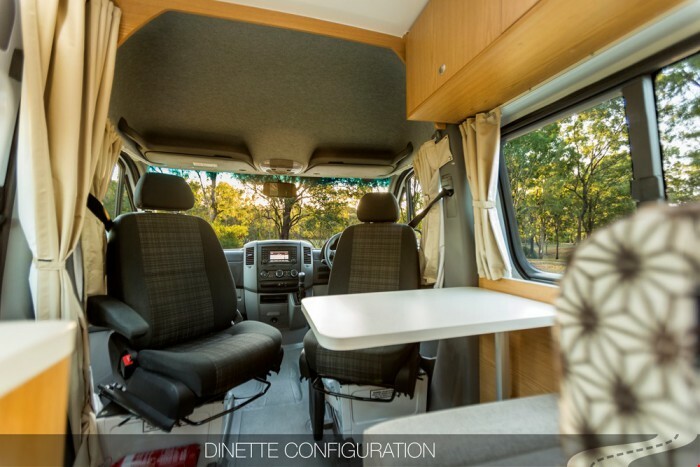 This makes it an ideal vehicle for small families, as do its large fridge/freezer at 150 litres, and its fully equipped kitchenette with two gas burners and one electric hotplate, as well as a small oven. It’s also self-contained, with a toilet and shower onboard, and hot and cold running water. The bed layout consists of two doubles, with a unique electronic bed-lift system that makes it much more convenient to set up for the night than manual bed assembly models. While larger than the majority of comparable vehicles, the rear-vision camera adds some convenience when parking and the sizeable side awning is undoubtedly a plus for cloudy or rainy days. The Pegasus RV, built on the Fiat Ducato, is also a 4-berth model, comfortably sleeping four adults with two seats at the front and two in the rear cabin; it features a slide-out panel in the kitchen and living area, providing over a third more living space than the Pandora. It also has the largest fridge-freezer in the Star RV fleet at 175 litres, plus a microwave and three-burner gas stove. Like the Pandora, it features a large side awning and a rear-vision camera — along with the largest beds in the fleet! 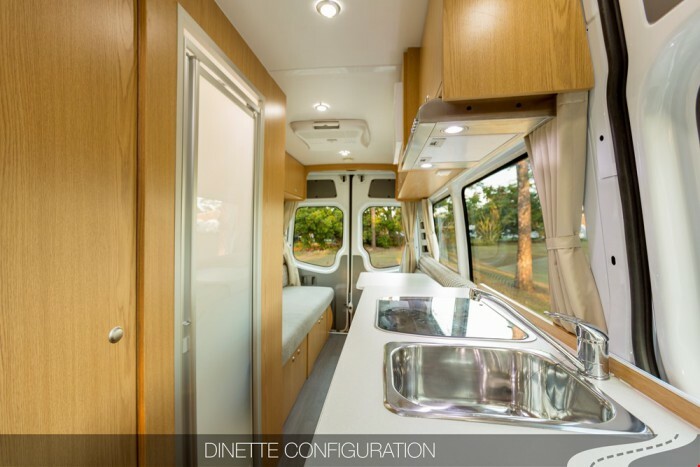 Because of the luxury interiors and large layout, this motorhome may be very pricey. 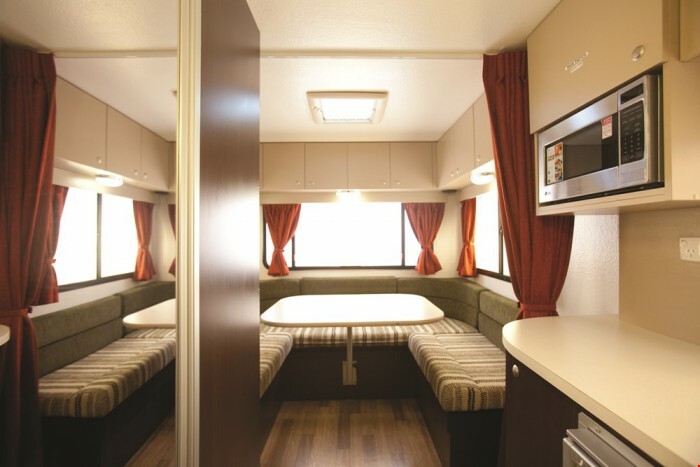 Finally, the largest Star RV vehicle is the Hercules RV, a 6-berth motorhome with two seats in the driver’s cab and four in the main cabin (it’s possible to install up to two baby or booster seats). 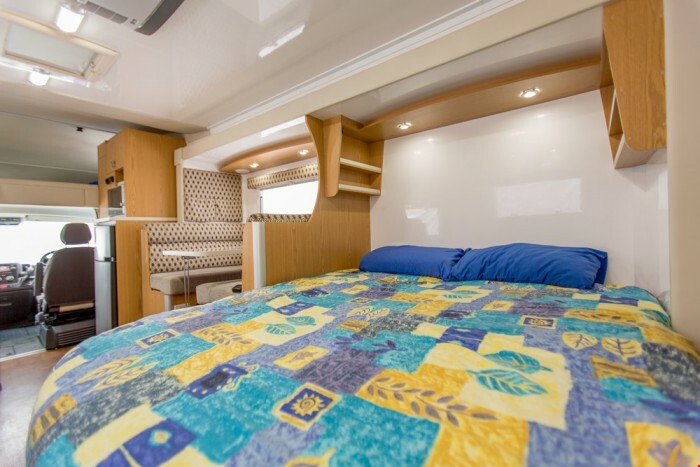 Its three double beds mean that it can comfortably sleep six adults, and its fully-stocked kitchen and onboard shower and toilet also make it a good choice for a family trip. Like the Pegasus and Pandora, it also features a side awning and rear-vision camera. 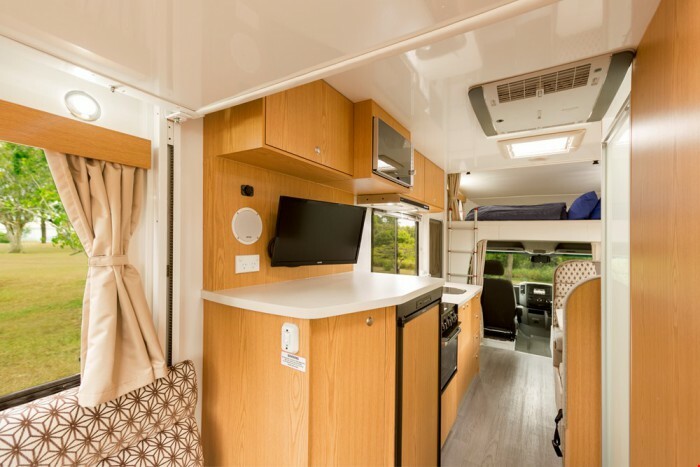 The internal walk-through access and complete entertainment system make living on the road for days or weeks more comfortable. The rental charge includes a standard liability of $7,500; the bond, at the same cost, is collected at the time of entering into the rental contract and payable only by credit card. It also includes a non-refundable 2% fee. This is debited immediately and refunded only when the vehicle is returned to the correct location on time, filled with fuel, without any breach of the contract. There’s one reduction option, payable at $47 per day, which reduces the bond to a $250 imprint and the liability to zero. This covers one windscreen, two tyres, and demurrage for accidental damage. 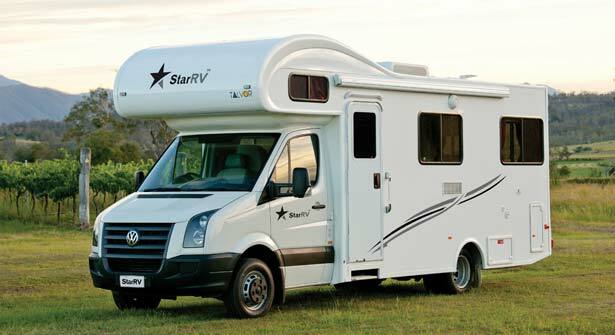 This is pretty expensive compared to other companies, though understandable when you consider the high standard to which Star RV maintain their vehicles. While Star RV is praised for the quality of their vehicles, the high liability has put a few customers off, and service hasn’t always been lauded across the board. Tardiness with refunds has shown up as the most particular problem, though there isn’t much commentary out there — and in general, this is a good thing, as satisfied customers tend not to leave reviews. This division of Apollo is rightly proud of the high standard of their vehicles, though their high prices mean that they won’t be for everyone. Looking for luxury? Then, you’re looking in the right place. We enjoyed the whole experience with StarRV. Would recommend and rent through them again. Go for it! Hi everyone! My advice - do not use Apollo - full stop. Don't be attracted by price and marketing. We're just about to book another NZ holiday after our last trip 4 years ago. One of our vehicles broke down and we were practically abandoned. The service was terrible and it seems to me that they know there will be enough new customers coming through the door to replace ones who receive a poor experience. 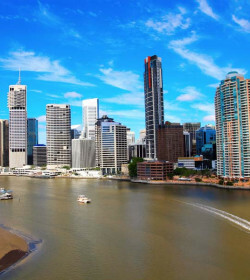 The last thing you want is a poor experience that overshadows your family holiday. Please - do your self a favour and take heed of the feedback you see. 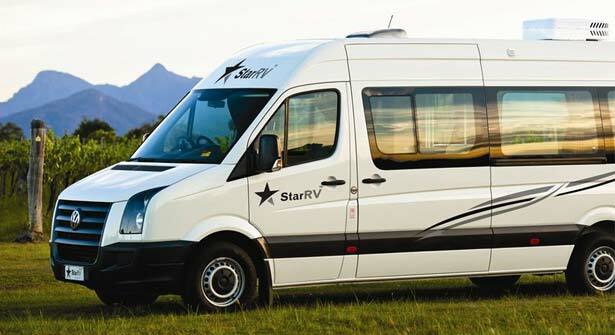 I was looking at Star RV and then realised it was owned by Apollo - so an absolute no goer for me. We had previously rented an Apollo 6 berth camper-van and cars from Apollo (the same company that runs Star RV/Hippie/Cheapa) in Australia and NZ, with only minor issues in each case. 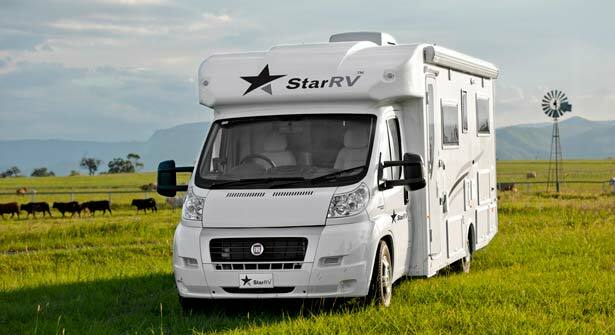 Star RV is the upmarket version to provide newer camper vans (&lt;12 months old) at modest premium in price. 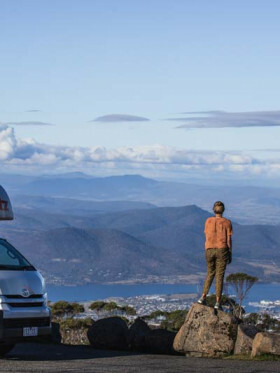 Simple and easy to book the camper online and good pricing also ~ $125AUD unlimited KM and standard liability (more about that later). Tip: When booking a van the price for the entire duration is based on the rate for the first day, as most or our trip was in school holidays = higher rate, simply book a few days early and don&#039;t pick up as that would be cheaper, that was the advice from Star RV also, but check first that this is allowed as it would seem to contradict their own terms. Tip: Odd refunds policy, if you prepay in full beforehand = no refunds, if you pay just the deposit then refundable on a sliding scale from 22 days out with no penalty to 100% if cancelled on the pick up day. 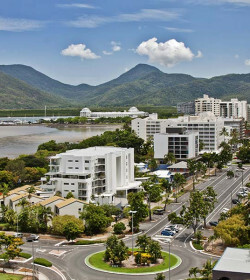 All of the Apollo/StarRV/Winnebago are made across the road from the pick-up in Brisbane by Talvor. On pick-up the service was quick and attentive, the vehicle was not exactly ready (sheets/towels/chairs/etc all needed to be loaded) ~ 20 minutes. They were supposed to pay $25 Taxi fare from Airport, but not offered, so you may need to ask. Also not fully fuelled only 3/4, offered a $30 refund but this never happened. Payment, credit cards have mandatory “surcharges” which are perfectly legal BUT at 2% is likely to be much greater that they pay Visa/MasterCard (average merchant fee is around 0.8% and likely lower for high value transactions). Amex/Diners are charged 4.5% and should be ~2%. I paid by Visa debit card which has zero fee. Standard Liability, this is $7500 and must be a credit card. Firstly they deduct $7500 on the card, not an imprint, it is transferred to Star RV. They charged the 2% “credit card administration fee” which is not refunded when the bond is refunded. Technically that fee is a “surcharge”, listed on invoice as such and under consumer law, should also be refunded. Also the agreement says, in an area completely separate to the Bond section the Bond refund is up 21 days delay due to “Financial Institution”. My expectation was the they would process a refund on return as per their agreement “The Bond is fully refundable when the vehicle is returned to the correct location on time, is full of fuel and all other terms of the Rental Contract have been complied with.”. This is not the case, they submit to their refunds team, so the 21 days delay is from them or bank, you decide. Either way they still have my money and I’m paying interest. Insurance, it is either $250 liability or $7500, nothing in-between. That insurance is $65 per day as part of package or ~50% of our daily hire rate which seems excessive. They did eventually offer $7 per day for Windscreen/Tyre and Roadside Assist package (from the Cheapa/Hippie), not advertised, not in agreement, I took this package and relied on my travel insurance (which covers up to $6000 in excess and included campervans). Even with full insurance there are many, many exclusions and potential additional costs. Also we were told if there was an accident then and additional $7500 would be deducted per incident, however it was not clear to me why or haw that was possible or necessary under the agreement. To my reading it seemed that in certain circumstances you could be liable for the entire vehicle cost plus any loss from rentals. The rental agreement is VERY heavily weighted to their benefit and against you, read it carefully, drive with great care and hope you don’t have any damage. Tip: supplied Doona is terrible and may not be warm enough in outback/cold areas, bring extra blanket/sleeping bag. Reverse cycle heater is way too noisy to run overnight. Tip: only one pillow per person, not overly comfortable, suggest you bring some. Tip: towels aren’t great bring some extra and a bath mat. Tip: no garbage bags or bin, old shopping bags are useful. We had ordered the Star RV Phoenix, our vehicle was the identical Winnebago Balmoral, it had been built one month before and had only 6000KMs. Compared to our previous rental several years ago the Mercedes Sprinter diesel/automatic was much quieter, better performing and easier to drive than older models. Allow plenty of stopping distance, we never took it over 100KM/h and I advise much less when windy, wet or poor surfaces. Allow vast amounts of distance for overtaking. At constant highway speed 14-15L/100K diesel. The entire vehicle had been reset, so still in German, clock not set, etc. It did support bluetooth music/phone, USB to iPod and 3.5mm jack. Satnav is installed but disabled, 12V sockets x 2. Tip: take various cables to connect up phones, iPods etc. Tip: It has a small TV, poor viewing angle, digital reception was good, retune at each new city. I also took a WD TV with movies and an HDMI connection. It has nice big mirrors and a reversing camera which is not overly useful, always use a guide to reverse to check for overhangs and other obstructions. That said getting in and out of caravan parks was never a problem. Parking around town was harder as quite wide and at 7.7m long needs 1.5+ parking bays. Watch the road camber as the camper is 3.5m and the may be overhangs/signs etc. The camper itself was clean, brand new and well equipped, see the website for details. It was so new there were plastic/rubber type smells so some airing out was necessary at every stop. The fridge worked well except ours would not run on gas, so no free camping, we always needed 240V. Aircon, electric element on stove and TV also need 240V, otherwise it could operate no-issues without power as stove top, oven, water heater, bbq and fridge all run on gas, water pump, bed, lights all on battery. They hadn’t tightened the spare gas bottle properly, so it leaked out on day 1, bottle pre-pay is $35 but they did not offer a refund for our refilling. The water pump was noisy and we also had a shower leaking water that ran into the toilet area. So we were constantly turning the pump on an off to prevent leaks. The toilet flush worked 30% of the time so it got pretty smelly in there. There was a permanent water connection that is disabled, so needed to fill the water tank. Only large size connector supplied so hard to fill from a standard tap. We loved the BBQ and the small stove made decent pizza. We asked for camping chairs and they were pretty dodgy as was the camping table. A two page generic “quick reference” was provided, this needs to be much more detailed, and to be specific to the vehicle and model being rented (like how to check vehicle fluid levels, specific stove and fridge operations). Tip: maybe plan to stay a day or two close to the depot, in case you need repairs or another vehicle. This model has a rear bed that comes from the roof. It must be up for travel. In down position not that low and may be a problem for some. To move down the bulky back cushions need to be moved and there is no storage for those, we put two back in the bed area and one under the bed. Basically it is more fuss that you would expect but workable. The cushions for the dining area are not very supportive or comfortable, odd given this is the travelling seat for passengers. There is plenty of storage and some hidden under seats and external bays also. If possible take soft bags as there is nowhere to store large luggage. Overall the vehicle was very good and exceeded expectations, however a few unnecessary flaws taint the good experience. On return there was little interest in the issues we had. I provided some web site feedback and no response. 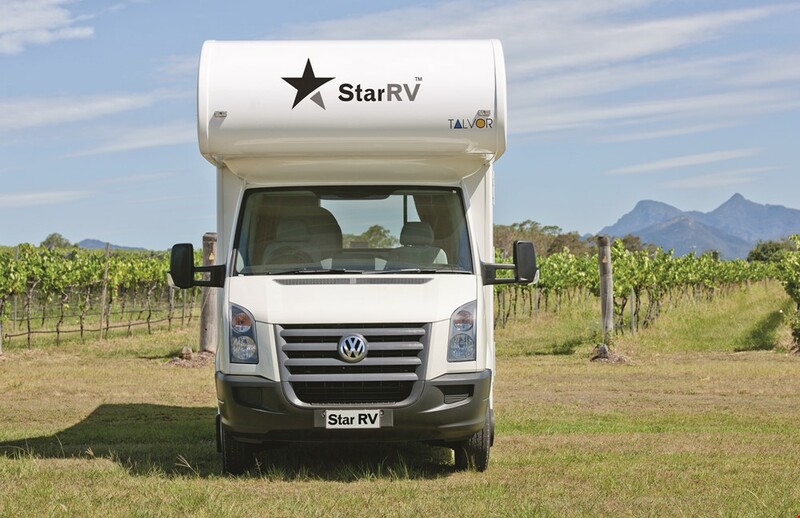 Star RV need to improve their culture, documentation, customer service, insurance arrangements/costs, remove unnecessary fees, perform bond refunds on return, provide fairer and clearer rental agreements and improve the quality of non-vehicle inclusions (chairs/towels/etc) to match their web-site blurb. "Poor Service from Apollo (Star RV)"
The vehicle brakes were faulty, vehicle jammed and had to be towed away. Apollo pinned the blame on my negligence and wants me to pay A$2,500 for repairs. I have more than 30 years of driving experience and Apollo (Star RV) would not believe my case. I would never risk my life and the lives of my family by driving with the handbrakes on.